Would you wear a colour that doesn’t quite suit you? In the course of experimenting with makeup, I’ve picked up some colours which I have now realised aren’t quite suitable for me. Examples of such colours are orange, bronze, brown, warm golds, purples and any colour with a red base. Such colours make me look tired and drawn, no matter how well blended or how expertly applied. 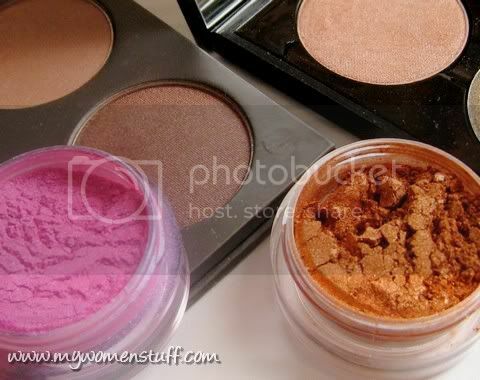 This is one of the reasons why I couldn’t wear the Estee Lauder Fall 2008 palettes. I actually had a makeover once where I specifically requested that purple eyeshadow be used on me. The makeup artist was good, but I still looked drawn and bruised. To remove makeup at the end of a long day, my makeup remover of choice is the cleansing oil. Ever since I was introduced to it, I have never looked back as it leaves my skin feeling clean and soft every time. Return of the Pixie Haircut? Remember when Demi Moore elevated short hair to cult statusin the movie Ghost? I was in school then and I remember a friend who went out the next day and had her hair cut short in the “Demi Moore style”. I like having short hair, so I was keen to try it too. However, it did not suit me face shape so I opted out of it after much persasion. Then, it was the Winona Ryder elfin look with short hair and big eyes. Again, everyone went a little nuts chopping off their locks but I think the Winona Ryder look did not catch on as much. Now, Katie Holmes (Mrs. Tom Cruise) has chopped off HER locks and somehow, I want to do it too! I love having short hair but I don’t have the facial structure to carry it off. I wonder though if its just a hot summer or if its the beginning of another short hair trend? What say you? Would you sport the pixie haircut?